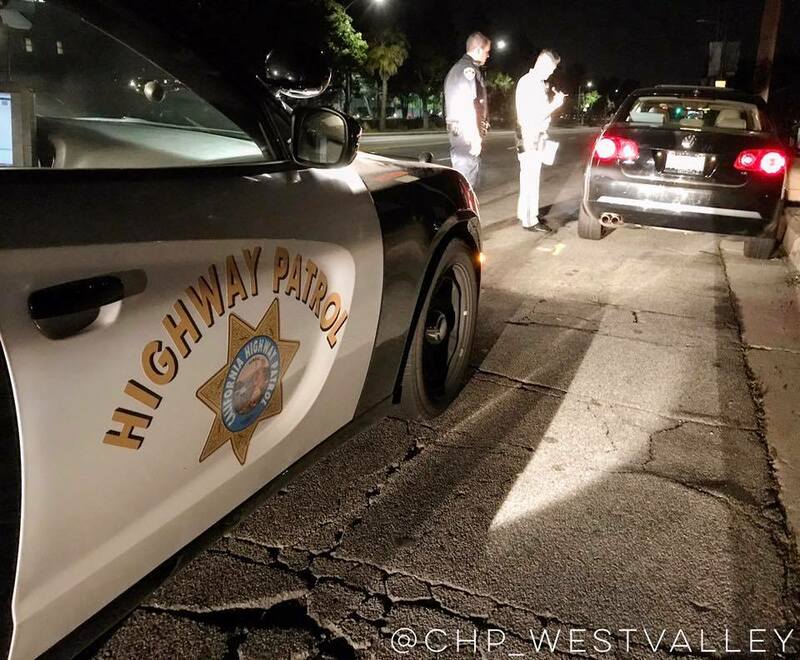 CHP West Valley Officers store a vehicle. SANTA BARBARA, CALIF. — According to the California Highway Patrol, a fatal traffic collision occurred at approximately 9:23 p.m. June 26, 2017. A male driver with four passengers was traveling on Gibraltar Road southbound, south of East Camino Cielo in a 2005 Volkswagen Passat. The driver lost control of the vehicle and the vehicle went down a steep embankment overturning numerous times. The Volkswagen came to rest approximately 300 feet below the point at which it left the roadway. The Santa Barbara County Sheriff’s Office released the names of two young females who were fatally injured in a vehicle collision that occurred at approximately 9:23 p.m., June 26, 2017, off Gibraltar Road. The Sheriff identified the two dead teens as 17-year-old Lily Afton Brennan of Ventura and 19-year-old Lesli Michael Sandoval Nunez of Ventura. The women were among five occupants in a 2005 Volkswagen Passat that was driving southbound, south of East Camino Cielo when the driver, 19-year-old Brandon Woodward of Ventura, lost control of the vehicle causing it to descend 300 feet down a steep embankment, overturning numerous times. Personnel from the Santa Barbara County Sheriff’s Office, Montecito Fire Protection District, Santa Barbara City Fire Department, Santa Barbara County Fire Department, American Medical Response, California Shock Trauma Air Rescue (Calstar), and California Highway Patrol responded to the scene. The responding agencies were coordinated by the Santa Barbara County Public Safety Dispatch Center. Due to the nature of the critical life-threatening injuries and the remote, rugged terrain, the Santa Barbara County Sheriff/Fire Air Support Unit and the Santa Barbara County Sheriff’s Search and Rescue (SBCSAR) team were called in to assist in reaching the victims. 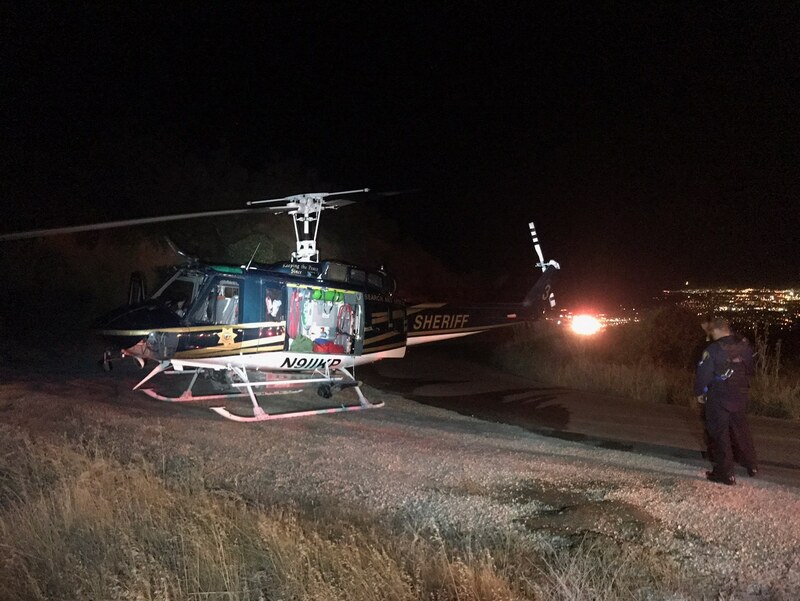 In order for Copter 3 to land and begin the extrication process, CHP shut down Gibraltar Road, which stayed closed for several hours while emergency personnel assisted the involved parties. Medics, Fire, and Santa Barbara County Search and Rescue personnel repelled down to the vehicle and started treating the occupants who were trapped inside. They determined that two of the occupants (Brandon Woodward, the driver, and a 16-year-old female juvenile from Ventura) suffered major injuries. One male occupant (19-year-old Dalton Murrieta of Ventura) had minor injuries and two female occupants had fatal injuries. To ensure the survivors received the help they needed as quickly as possible, “Calstar 7” an EMS helicopter was also dispatched to the scene. Copter 3 hoisted a Santa Barbara County Fire Paramedic to the vehicle to help package the two critical patients for hoist rescue. Copter 3 then hoisted the first patient, Woodward, from the vehicle and transported him to a nearby landing site along Gibraltar Road. Woodward was ultimately transferred to Calstar 7. Copter 3 then returned to the scene and hoisted the second critical patient, the 16-year-old female juvenile, and a paramedic into the helicopter. The second patient was then transported directly to the Cottage Hospital helipad. The Sheriff’s Search and Rescue team along with fire personnel then spent the next several hours helping to extricate the third patient with minor injuries from his vehicle and raise him back up 300 feet to Gibraltar Road where he was transported by AMR to the hospital. Search and Rescue and Fire personnel continued to work together throughout the night to remove the deceased females from the vehicle and raise them back up to Gibraltar Road where they were released to the Coroner’s Office. A total of five technical rope-raising evolutions, which combined is more than 1,500 feet, were required in order to get all of the emergency personnel, equipment, the third injured victim and the two deceased females back up to Gibraltar Road. CHP is conducting an investigation into the fatal collision and has arrested the driver, Brandon Woodward, on suspicion of driving while under the influence. This entry was posted in Arrest bookings, DWI arrest photos, DWI Arrests by State, DWI crash photos, teen keg parties and tagged Brandon Woodward, California Highway Patrol, Calstar 7., CHP, Cottage Hospital, Dalton Murrieta, driving while impaired, driving while intoxicated, drunk driving, DUI, DWI, East Camino Cielo, Lesli Michael Sandoval Nunez, on suspicion of driving while under the influence. Santa Barbara Sheriff Calif June 27, OWI, Santa Barbara County Fire Paramedic, Santa Barbara County Sheriff’s Office, Sheriff’s Search and Rescue team. Bookmark the permalink.